Shadowboxes are fun and awesome! They are a very special way of framing 3-dimensional objects. There are not a lot of requirements or standards because an object can be any shape or size. This type of frame gives the designer and customer a lot of free range in the design process. We literally create something from nothing! Shadow boxes are not limited to 3-D objects, either. A great example would be a design with multiple pieces of artwork and objects from a wedding. Mat openings may be cut for photos and the wedding invitation to lie under. Then, enough space would be made to float some dried flowers from the bridal bouquet, a cork from a wine bottle, jewelry, the garter, etc. 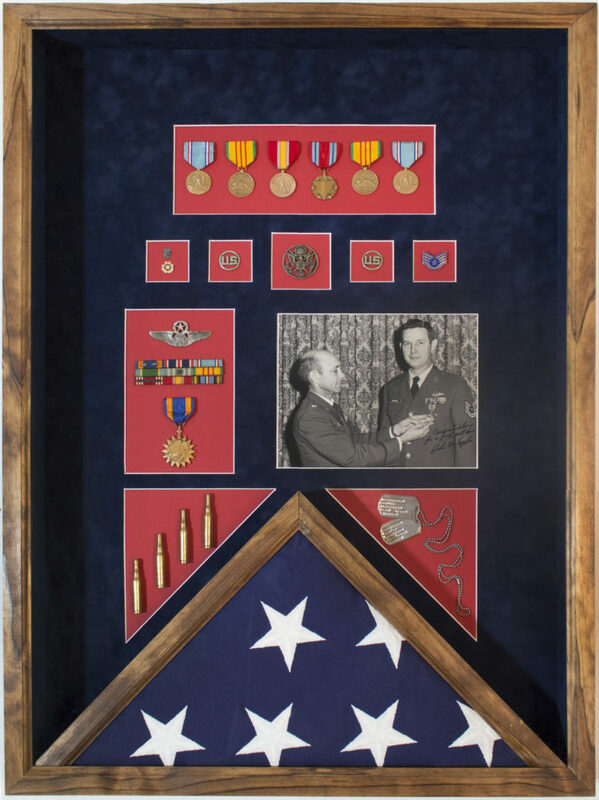 A shadow box requires either a deep frame or 2 frames vertically stacked on top of each other to create depth enough for the object(s). 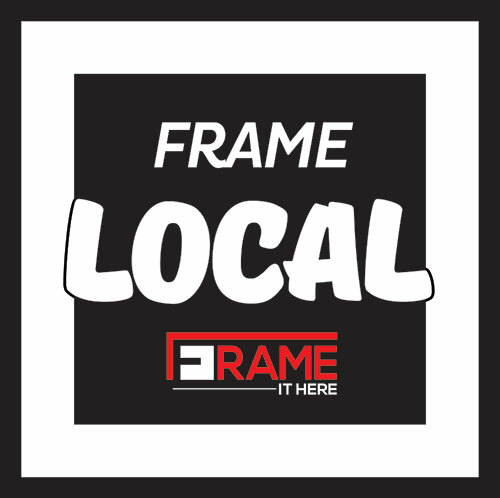 This type of frame will project objects as well as a regular frame would protect a piece of artwork. The sides of a shadowbox are usually boxed in with acid free foam core and mat board so you cannot see the inside of the frame and the artwork will be held up off of the glass. Depending on what they are made of, 3-D objects are typically held in place by either, pinning, sew mount, or some type of removable, acid free adhesive. They must also be mounted on a piece of mat board. If an attempt is made to mount an object on foam core or another type of material, it may not be supported properly and could fall and damage the object or scratch the glass.